One of the many exciting reveals and announcements during today’s Nintendo Direct was Super Mario Maker 2. In the trailer, Super Mario Maker 2 was confirmed for Nintendo Switch with a scheduled release this coming June. Super Mario Maker 2 will be exclusive to the Nintendo Switch, and will act as a sequel to the original Super Mario Maker that originally released to Wii U in 2015. Super Mario Maker 2 is scheduled to release in June of 2019 for Nintendo Switch. 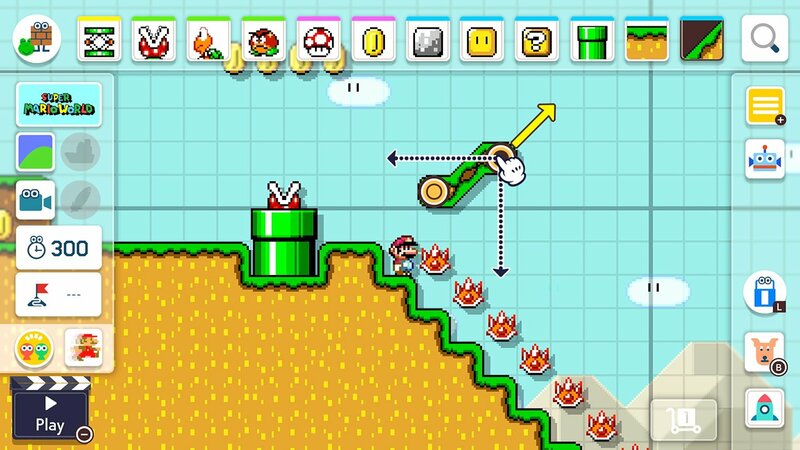 Not only can you expect the same type of fun level customization featured in the original Super Mario Maker, but new features, options, and assets as well. For example, different pieces of level construction along with slopes and assets from Super Mario 3D World are all on display in the trailer for Super Mario Maker 2. While the trailer and its corresponding description lack specific details, we’re already itching to get our hands on Super Mario Maker 2. Fortunately, we won’t have to wait too long as the trailer ends with a release window of June 2019. To get your creative juices flowing, you can watch the full trailer down below, and check out the official Nintendo Switch game page for Super Mario Maker 2. While we wait for the release of Super Mario Maker 2, what type of levels are you planning on making? Will you take advantage of the new slope feature, or will you try to build something more traditional? Let us know down in the comments below! For more on today’s Nintendo Direct livestream, be sure to check out some of our previous news posts including the reveal of Oninaki, the latest offering from Platinum Games, and the new battle royale game from the makers of Tetris.